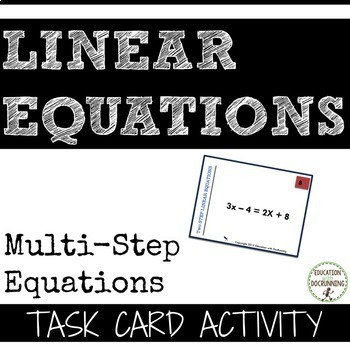 Multi-Step Linear Equation: Practice and Review is a super fun way to engage students in practice and review of multi-step linear equations. Perfect for Algebra and Algebra II classes. One set of cards has multi-step linear equations the other set of cards has solutions to match. Students match the cards through games or math center activities. Definitely one of my students' favorite ways to practice linear equations. 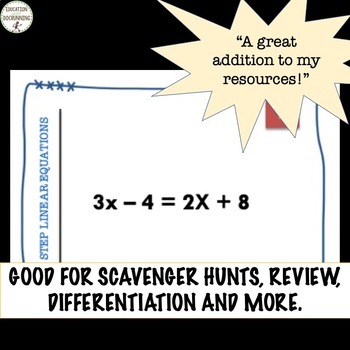 This activity practices CCSS.8.EE.A.1. and CCSS.HSA.REI.B.3. 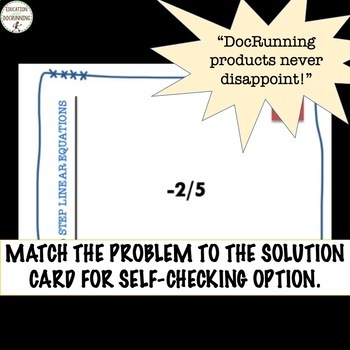 Answer key, interactive notebook-sized cards and large cards, and suggested uses included.